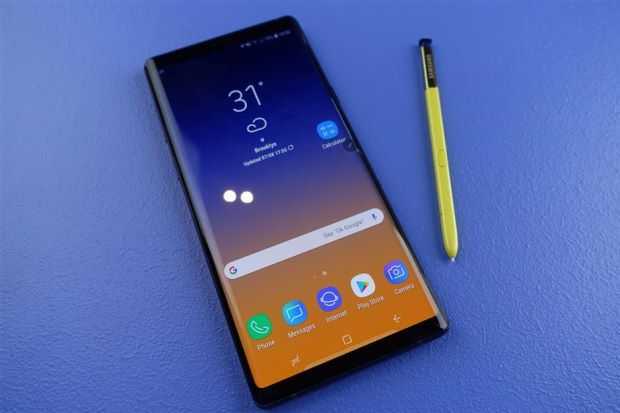 Samsung Galaxy Note 9 is the most anticipated smartphone of the year as it has a pretty large display combined with powerful hardware specifications and the ability to use a stylus. You can easily take notes, draw stuff or use it for business purposes making it a more sophisticated, business-friendly version of the Galaxy S9. The Galaxy Note 9 was officially launched by Samsung in an Unpacked event held in New York. First Net, the nationwide network platform to ensure public safety has made an announcement with regards to the pricing and availability of the phone. The device will be made available to AT&T customers with exclusive offers and if you were looking forward to buying it, this could be the best time to do so. The new model from Samsung is all set to get launched for AT&T subscribers on Aug 10th when the pre-orders will open. If you are a subscriber of the network, you can simply log on to the official website to pre-order the phone or visit the store to reserve your Galaxy Note 9 on launch date. Buyers can get a Galaxy S9, S9+ or another Note 9 free when they purchase it from the cellular service provider under specific plans. As with most other installment plans in the past for flagship phones, you can buy the Note 9 for a rather cheap cost of $33.34 per month for 30 months while enjoying all the additional benefits the plan has to offer. AT&T had partnered with FirstNet and this is the fifth consecutive time they have accomplished the feat, allowing users to feel safe and secure. They can also better respond to emergencies and make SOS calls as FirstNet has significantly enhanced its network coverage. First responders can respond and try to help people in emergencies besides being able to use a sophisticated device such as the Samsung Galaxy Note 9. FirstNet users can pick up the phone from the store when it gets launched on Aug 24th officially for everyone including those who have pre-ordered it online. The Note 9 sports a large 6.4-inch Super AMOLED display and is powered by Qualcomm Snapdragon 845 processor. It runs on Android 8.1 Oreo, has 6GB of RAM in the entry-level model with 128GB of space and also supports micro SD card slot. The phone has 12MP front and 12MP rear camera with a 4000 mAh battery and it is IP68 waterproof certified. Music lovers would enjoy the Samsung phone as it retains the 3.5mm headphone jack, supports Dolby Atmos and also is capable of fast wireless charging. The Samsung Galaxy Note 9 costs $900 approximately without an ongoing contract but its much cheaper and value for money when you buy it from a network such as AT&T with exclusive benefits.